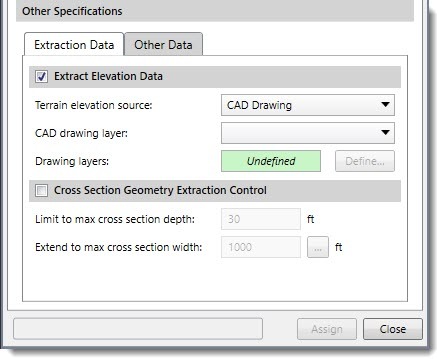 The Assign Cross Sections command is used to select an existing polyline on the Map View, assign it as a cross section, and have the software extract the HEC‑RAS cross section geometry from the underlying ground terrain. From the Input ribbon menu, select the Cross Sections menu item and then choose the Assign Cross Sections command. The Assign Cross Sections dialog box will be displayed. The following sections describe the Assign Cross Sections command and how to interact with the above dialog box. This section is used to interactively select a polyline from the Map View for assigning as a HEC‑RAS cross section. Click the [Pick] button and the dialog box will temporarily disappear. A prompt will be displayed on the status line, informing the user what to do next. Within the Map View, click on a polyline to assign as a cross section. Note that the selected polyline must overlay a pre-existing river reach or the software will report this as an issue. See this section on defining river reaches. 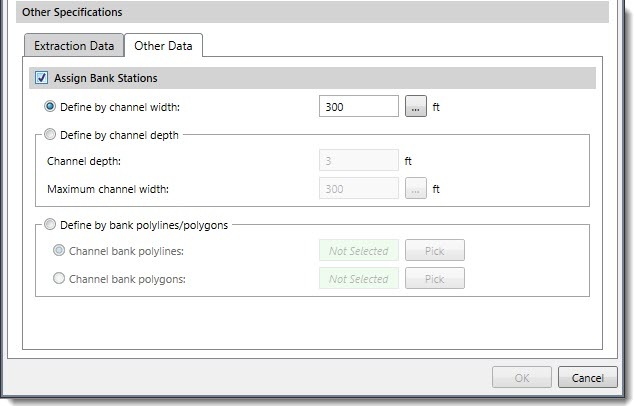 After selecting a polyline, the software will then construct the cross section and then prompt the user to select the next polyline for assigning as a cross section. When finished assigning cross sections, right-click and choose Cancel from the displayed context menu or press the Esc key. 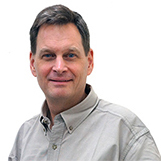 The software will return the user to the dialog box. This section is used to define the river stationing of the selected cross sections. 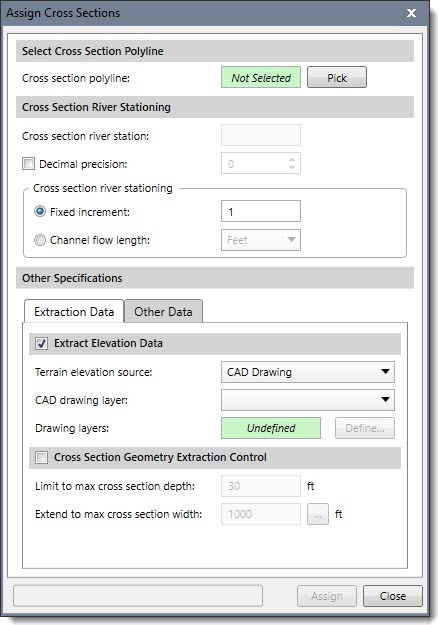 After selecting a cross section polyline, the software will automatically compute the river station of the cross section based upon other cross sections already assigned to the river reach and the parameters defined in this section. This optional section is used to control the amount of cross section geometry to extract for the selected polyline. This assures that an adequately deep enough cross section is created on both sides of the river reach. The software will attempt to retrieve the cross section geometry data to the depth specified within the maximum cross section width specified. During the construction of the HEC‑RAS cross section, the software will automatically assign a default Manning’s roughness for the left overbank, channel, and right overbank areas. In addition, the flow length to the next downstream cross section is determined. If inserting a new cross section between two adjacent cross sections, the software will automatically adjust the flow length of the next upstream cross section to account for the insertion of the new cross section.